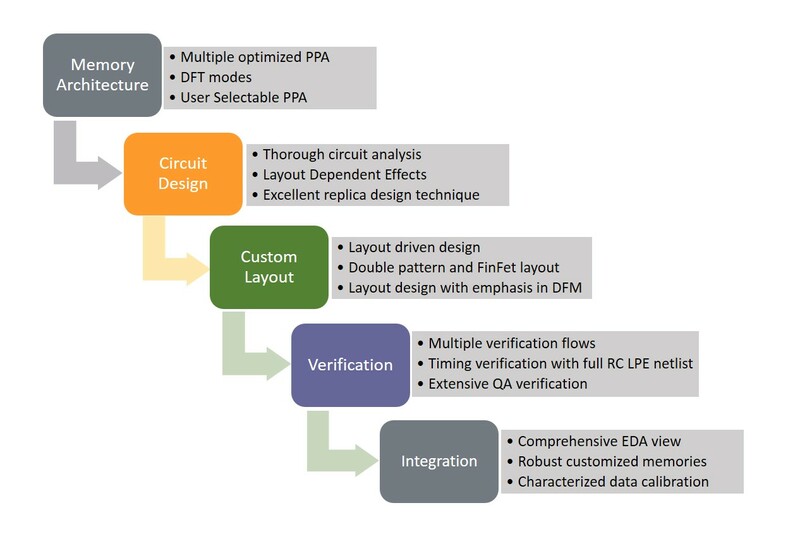 Savarti designers, experts in all aspects of embedded memory compilers, starting from memory architectures, circuit to layout customization, verification, physical design to product tape-out. Our teams are here to offer significant design and efficient development in the most advanced available technologies. Our propriety User Selectable PPA Optimization Memory Compilers consists a rich set of fully optimized SRAM based memory compilers. Our offerings include both standard memory compilers and specialty memory compilers in most-advanced technologies.